Sleeps 4. 2 Bedrooms. 2 Baths. Willow Cottage was developed by its owner a few years ago and is a unique and charming self catering property with open plan sitting/dining/kitchen area. The sitting area is to the front of the property with a comfortable sofa and 2 chairs to seat 4 people grouped round a glass coffee table. There is a large flat screen TV, a CD player, telephone and wi-fi. A pull out dining table seats four people and a well equipped kitchen area has oven, grill and hob, microwave, small dishwasher, washing machine and dryer and fridge and freezer. There is a good selection of crockery and cutlery should you wish to cook using the great range of local ingredients on offer. A door leads from the living area to a small, sheltered, patio area which has been prettily planted and is provided with outdoor furniture - a nice spot in which to relax. On the ground floor a rear corridor runs along to a characterful twin bedroom and an immaculate shower room with a large shower, wash hand basin and w.c. The larger bedroom, also a twin, is on the first floor, facing south and benefits from lovely views over the East Lothian countryside; it has an en suite bathroom with bath and shower over, wash hand basin and W.C.
Home from home in an ideal location. Everything you need whilst away from home. The property has enough space inside to make a full time home. Well kept and clean. Within walking distance of shops, pubs and beach. Stayed here for our sons wedding, who only lives round the corner. Ideal home for a break in the area, would use again if we need accommodation in the area. A clean and well equipped cottage, perfect for our stay!! Willow Cottage is in the small village of Aberlady, on the East Lothian coast, just a few minutes walk from the beach. 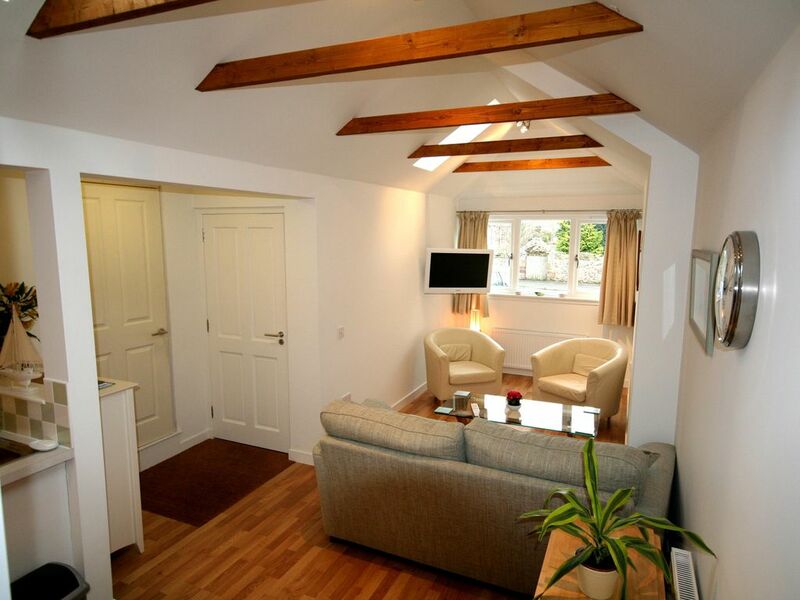 A bright and airy cottage with 2 bedrooms and 2 bathrooms, it was perfect for our stay. The kitchen had everything you could need for a short break and also has a washing machine & dishwasher. The cottage was beautifully clean throughout. There’s also a small courtyard outside space with table and chairs ( weather permitting). Off road parking in front of the cottage too. Great location for visiting family in the area, close to the town of North Berwick and a 30 minute drive into the city of Edinburgh. Aberlady has a couple of pubs, an Indian restaurant/takeaway (unlicensed - take your own beer/wine), a convenience store and a post office. Supermarkets are in North Berwick. A big thank you to Linda for her lovely cottage & for the tea, milk & biscuits in the cottage on our arrival. A lovely place to stay, will return!! Thank you for your wonderful review. It was lovely having you to stay in Willow Cottage. Excellent property in a wonderful location. Everything you need for a perfect holiday. The property was ideal, beautifully organised and spotless. It's location is wonderful, it was central in the village but very quiet. The lady who owns the property, Linda, was very helpful with her local knowledge and generously supplied us with tea and biscuits! We would return to this property in a flash. Thank you for your wonderful comments. So glad you enjoyed your stay.